A massage session is a conscious interruption of all stress originating from sources that are both expected and unexpected. A massage smoothens out muscles and increases blood circulation. Therefore it also maximizes the flow in of nutrients and benefits as well as the outflow of toxins and negativity. Sundial Beach Resort and Spa is located on the barrier island of Sanibel with its vast stretches of white beaches. The resort’s in-house spa offers stimulating facial treatments that wipe away years, as well as the full-body, all-day pampering you deserve. 1451 Middle Gulf Drive, Sanibel Island, FL 33957. Hours: Mon-Sat from 9 a.m. to 6 p.m. or by appointment; and Sundays from 10 a.m. to 5 p.m. The WaterColor InnSpa at WaterColor Inn and Resort offers a “totally indulgent experience” that may cover anything and everything, including a 50- minute WaterColor Well-Being Massage, a customized facial, or special manicure and pedicure service. 34 Goldenrod Circle, Santa Rosa Beach, FL 3245. Call 888-991-8878 to inquire or reserve. The Spa at Silver Shells is a luxury day spa that offers a full range of invigorating facials, massages, body treatments, and nail and hair care. Their specialty is the Vitamin C Facial. They have comfy, new, swivel pedi chairs equipped with seat warmers and massagers to provide extra pampering. Call and book an appointment today! 15000 Emerald Coast Parkway on Destin. Serenity by the Sea Spa at the Hilton on the Sandestin Beach Golf Resort and Spa has been operating for the past 30 years and is one of the most experienced operators in the area. It has consistently placed among the Top 100 Resort and Spas in the country, as ranked by Conde Nast Traveler. True to its name, the spa uses a range of sea elements as part of the therapy it provides, incorporating seawater pearls and sea salts into facials, massages, and body treatments. The spa also has a top-notch fitness center, whirlpools, saunas, steam rooms, and lounges, in addition to a full-service salon. 4000 Sandestin Boulevard South, Miramar Beach, FL 32550. To book your solo or group spa reservation call 850-622-9595 or 866-622-9595, or email Serenity@HiltonSandestinBeach.com. The Spa at the Emerald Grande at Harborwalk Village prides itself on a distinctly personalized approach to all massage, facial, and body treatments. This spa is thoroughly equipped with steam rooms, a dry sauna, an East Pass Fitness gym, and a spa boutique with special home products. 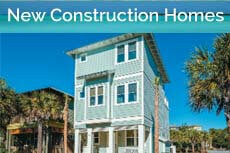 10 Harbor Boulevard, Destin. FL. Call 850-337-8150 to inquire and book an appointment.